If not for the wisdom of two men, the world would be aware of the village of Sheikh Masoud in Upper Egypt for all the wrong reasons. This hamlet deep in the rural backwater south of Cairo would have been added to the well-publicized list of Egyptian locations torn apart by sectarianism. As it is, you do not know about it – unlike Dahshur, Giza, which was the most recent casualty of religious division, and the first village to suffer under the new Islamist regime of Mohamed Morsy. Located 40 kilometers south of Cairo and home to the famous Red and Bent Pyramids, on 28 July Muslims and Christians in Dahshur confronted each other with shouts and exchanges of Molotov cocktails. It ended with a death and a devastated population. The incident started when a local Christian laundryman burned the shirt of a Muslim client while ironing. A stray Molotov cocktail accidently hit a Muslim passer-by. When he died from his burns a few days later, Muslims surrounded Coptic homes and businesses, setting fire to them. By 3 August, security forces had evacuated 120 Christian families from the village until calm could be restored. The events in Dahshur however are part of a more complex pattern of sectarian relations that is often missed by the media. Sensationalist headlines and attention-grabbing pictures often start out as ordinary social problems that escalate, feeding on religious difference. Far more common is local community wisdom snuffing out the tension, as happened in the village of Sheikh Masoud, 160 kilometers south of Cairo. It could have gone either way in this sleepy countryside hamlet whose population recently surged to 25,000, 80 per cent of it Muslim. The village also hosts an area church. Here it was that on 5 August a wedding ceremony took place for Christians of a neighboring village that had no church. All proceeded well and the wedding guests got into cars to drive back home. But trouble developed when the bridal party rearranged the seating in their vehicles to allow the bride and groom to drive to Cairo on their own to begin their honeymoon. To do so they stopped in the middle of the main street in the village, halting traffic. Only half an hour shy of sunset when hungry Muslims could break their Ramadan fast, an argument ensued. 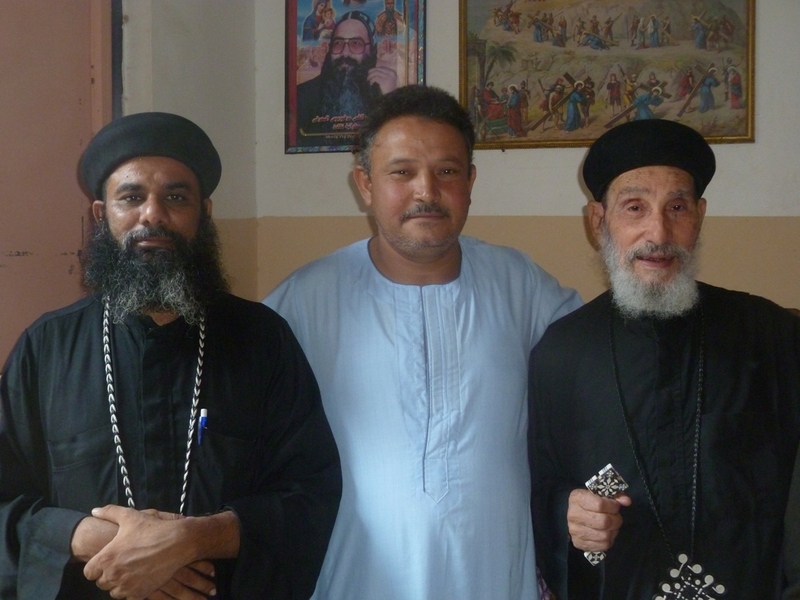 According to Fr Musa Ghobrial, priest of the St George Coptic Orthodox Church in Sheikh Masoud, the street in question lies thirty meters from the church and is a public gathering area for local Muslim youth. Muslim drivers tossed insults at the bridal party, shouting especially at the sister of the bride getting out of the car, unaware that she was blind. Flustered, her uncle, unable to shout back as he happened to be mute, spat upon one of the youths. Within moments the argument spilled over into the church compound, with more than a hundred Muslims gathered inside. ‘I was absent at the moment of the event,’ said Mohamed Ali, a 43-year old power station manager and father of the youth who was spat upon. ‘I heard that Christians were attacking us, and came after five or ten minutes with my relatives and neighbours to stop the insults,’ he told Lapido. Fr Musa states there was no violence in the church, but that the atmosphere was charged. ‘Muslims in our area look for opportunities to stir up trouble, especially the younger generation. We keep good relations with them, but other Muslims consider this village to be weak because it has a church,’ he said. It was these good relations which averted the crisis. ‘What happened was a reaction from the Muslims,’ Ali said. ‘I told them to go home because this is a place of worship and there should be no problems here. As the scene quieted and the church courtyard emptied, Fr Musa sped off after the bride and groom, persuading them to return. He spent the next day sitting with Christian villagers convincing them of their need to apologize over the spitting. The third day Fr Musa gathered the Christians in Ali’s home, and all drank tea together. According to Fr Musa, neither side issued a public apology, but the gesture in Upper Egyptian culture signified both sides owned their wrong and extended forgiveness. If Mohamed Ali had been an extremist, or if Fr Musa had angrily shouted at the Muslims in his church, the situation in Sheikh Masoud could have escalated like Dahshur. 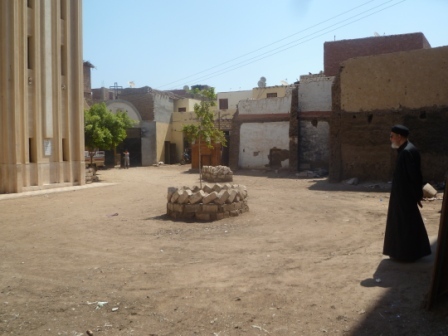 Instead, the village remains as unknown as thousands of others throughout Egypt. In each, Muslims and Christians negotiate the status quo, despite the increasing trend of religious polarity nationally. At times the mixture leads to combustion, but more often than not, contrary to assumptions carried in the press, wisdom prevails. Fr Musa and Mohamed Ali are courageous – but mercifully not unique – peacemakers. This article was first published at Lapido Media on August 29, 2012. Please click here to access it. Truly inspiring! I have always been of the persuasion that forgiveness breaks the unhealthy cycle of violence. « Did the Muslim Brotherhood Crucify its Opponents?